Recent market share data from ComScore has spurred reports that Android market share in the US is slowing. The chorus is being led by none other than Horace Dediu from Asymco, who has laid out the data in some very insightful charts. But is this is long-term trend or part of a well-understood pattern? With smartphone penetration surpassing the 50% level, the pace of smartphone sales has been slowing in the US. With fewer consumers looking to move from feature phones to smartphones, smartphone sales were bound to take a hit, so this isn't entirely surprising. Smartphone penetration will still continue to rise, but the rate of growth will be far slower as the early adopters and early majority already seem to have moved over, and product adoption rates among the late majority and laggards are typically lower. When we combine this with carriers' aggressive stance against excessive subsidies, it is obvious that smartphone sales will slow down going forward. Even though this may affect sales of entry level android smartphones, this should affect most of the market (including sales of older iPhone models) and hence, the long-term impact on market share of individual players should be muted. Also, up until now, both Android and the iPhone have been stealing market share from other competitors, i.e. primarily RIM & Microsoft. But now, with both RIM & Microsoft at the bottom of the market share barrel, Android & the iPhone can only compete with each other for market share. This means, smartphone market share in the US could be reaching a steady state, with short-term seasonal variations based on major product launches. This could be disrupted if Windows Phone ever manages to get off the ground, and that could intensify competitive forces even more. When we look at the smartphone product landscape in 2012, it's obvious to note that there have been no major product launches from the Android camp. AT&T launched the Galaxy Note in February 2012, which did see relatively strong sales, but the size of the Galaxy Note made it a niche product. The only other launch was the HTC One X, which released in May, while ComScore's data stops at April. Even the HTC One X would most likely have a muted impact as AT&T has focused its marketing muscle on the Nokia Lumia 900, with questionable success. I can already see the iPhone camp getting ready to mention that the iPhone hasn't had any product launches in 2012 either. Apple actually benefits from the fact that it launches only one product in a year. The strength of the iPhone brand normally sustains healthy sales growth until the quarter before a new model is set to launch. The Android camp, meanwhile, follows a "portfolio approach" by generating buzz through multiple product launches staggered throughout the year. There has been no android handset capable of rivaling the buzz generated by an iPhone launch, until the Samsung Galaxy S3. The last android handset that drew even close to this amount of buzz was the Galaxy Nexus. As you can see from the chart above, market share growth slowed in the quarter before the Galaxy Nexus was launches. The Galaxy Note didn't seem to have as much of an impact as it didn't generate comparative buzz before the launch, but it did boost Android market share after the launch. It's interesting to note that Horace Dediu wrote about slowing Android growth in December as well, but Android growth saw an uptick after that once the Galaxy Nexus was released. What a surprise. The iPhone's market share growth was practically flat before the iPhone 4S launched as well. This data essentially reinforces what we already know, i.e. consumers hold off on purchases before a highly anticipated product is set to launch. Based on previous market share patterns, market share typically spikes after major product launches. This means that we will most likely see a dip in ComScore's Android market share growth in May & June as well, but July & August will see a sharp spike, putting to rest all these fears. 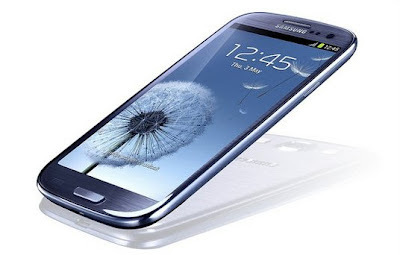 Conclusion - It is clear that the most significant factors causing the current slowdown in Android growth are the upcoming launch of the Galaxy S3 and the fact that the year has seen no other significant product launches from the Android camp. Once the Galaxy S3 launches in the US, we should see another market share spike to make up for the slowdown in the past few months.